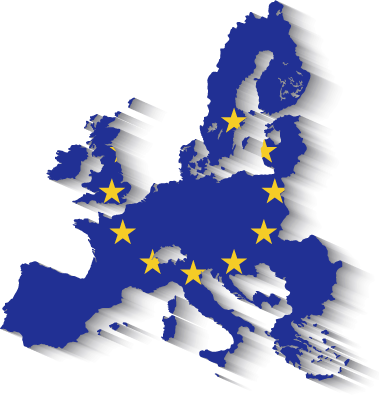 The Ecommerce Europe Trustmark stimulates cross-border e-commerce through better protection for consumers and merchants by establishing one European set of rules and by ensuring clear communication of these rules. The Ecommerce Europe Trustmark protects you when you make a purchase through an online shop in another EU country, and a complaint arises. 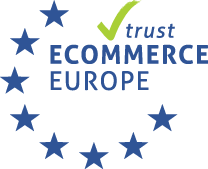 If you see the Ecommerce Europe Trustmark on the website of an online shop you are visiting, it means that the company has made a commitment to work in compliance with the Ecommerce Europe Code of Conduct, guaranteeing ethical standards in the digital marketplace. In the case of an incident involving the purchase of their products and/or services, those companies with the Trustmark give you the option of filing claims through the Trustmark Service Centre free of charge, if their own Customer Care Service has not been able to resolve the issue. In the case of a consumer complaint, the Trustmark Service Centre provides for a solution out of court. It enables you to reach a solution easily and quickly. The Trustmark Service Centre provides you with assistance in coming to an agreement with the business. If there is no solution for your complaint, a legal resolution of the issue is still open to you. You can immediately seek out legal assistance and are free to pursue your complaint through legal means otherwise. The European Regulation No 524/2013 on online dispute resolution for consumer disputes states that traders established within the European Union engaging in online sales or service contracts have to provide on their websites an electronic link to the European Online Dispute Resolution platform (http://ec.europa.eu/odr). Furthermore, for consumers with a problem for an online purchase, they can file complaints on the European ODR platform. Irish retailers for the first time have access to the European eCommerce Trustmark through the exciting new national eCommerce Trustmark launched by Retail Excellence Ireland in conjunction with Ecommerce Europe. Only 2% off Irish retailers are currently compliant with data protection, privacy regulations and consumer laws which is something the implementation of the eCommerce Trustmark will address. On registering for the Trustmark, applicants are furnished with a comprehensive set of rights and obligations establishing a benchmark for excellence and best practice. We know retailers displaying a Trustmark on their websites have experienced increased conversion, lower barrier to entry for cross-border trade and increased consumer confidence with 65% of consumers in Europe saying they will shop with a retailer displaying a national and Ecommerce Europe Trustmark over a retailer that does not display any. I would encourage any online retailer to sign-up to the Retail Excellence Trustmark as not only do you have peace of mind that you are compliant but it encourages sales and consumer trust. Increasing consumer trust has always been a goal for Vodafone. Confianza Online’s and the Ecommerce Europe Trust Marks let us give confidence to our clients as a certificate of compliance with quality standards. Both Trust Mark’s values are 100% in line with our customer care philosophy.